Harbour Air Seaplanes was founded in British Colombia in 1982 and today has more than 50 aircrafts, servicing 400,000 passengers. The Harbour Air Group, consisting of Harbour Air Seaplanes, Whistler Air, Saltspring Air, Tantalus Air and Aeroflite International Services is the largest seaplane company in North America. The airline features scheduled service flights, tours, and charters, with bases in downtown Vancouver, Richmond, Victoria, Nanaimo, Whistler, Pitt Meadows, Comox, Sechelt, and Salt Spring Island. Harbour Air’s challenge was two-fold. First, there was a pressing need to design an effective passenger communication system for the new Victoria terminal. In the old terminal, static signs hung over each desk and you couldn’t easily change them without reprinting a new sign. The signs were difficult to read because they were small and not illuminated. And secondly, the company had a number of screens behind the counters at each of their other bases, but no real way of updating the content without the IT team running around updating manually via a USB plug-in. They needed an easy-to-use solution with the ability to centrally manage all of their content. That’s why they went with Skykit, for an easy way to manage and deploy content for their terminals to display a variety of content types: corporate communications, employee engagement messaging, welcome signage and passenger service menus in the terminals. The primary use of the digital signage in Harbour Air’s new Victoria terminal is to direct passengers to the appropriate check-in counters. 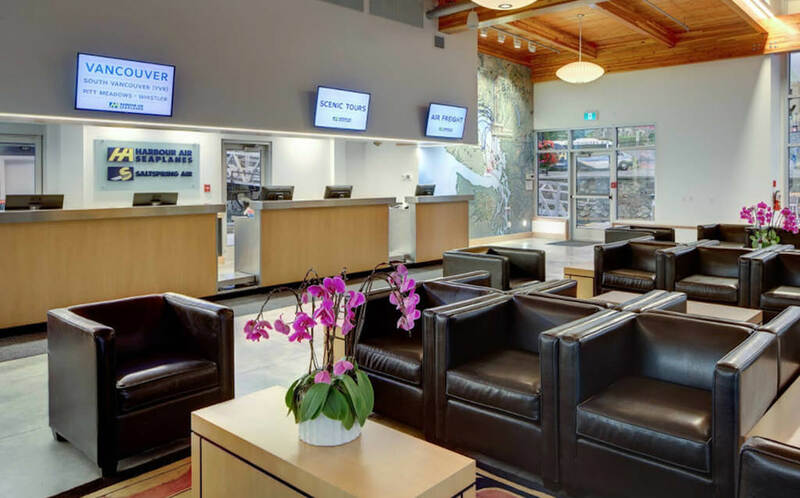 Eight display screens with Skykit digital signage CMS were deployed throughout Harbour Air’s Victoria Terminal and Vancouver Base to direct passengers to the appropriate check-in counters. With Skykit’s easy-to-use digital signage software, Harbour Air manages all of their own content importing a variety of file formats including PDF, video, and weather. Skykit allows Harbour Air to easily change passenger content being displayed and created an option for more dynamic communications. 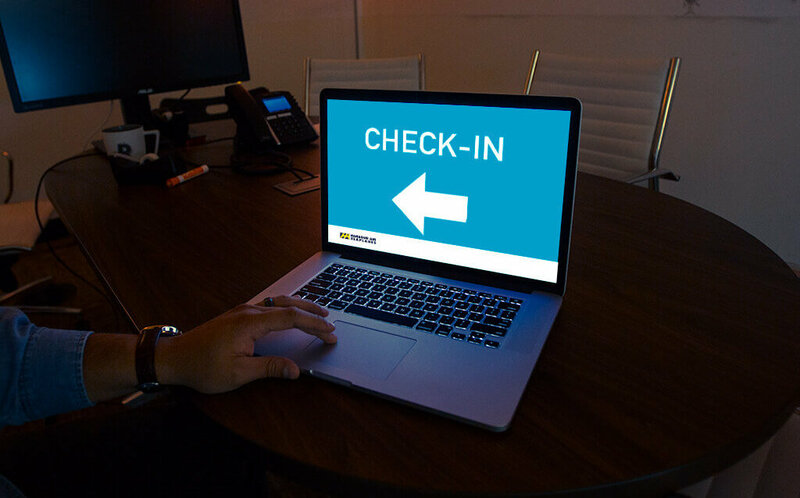 The Skykit Chrome-based digital signage content management system (CMS) is so easy to use and has provided a more informed experience pre-flight. Harbour Air is now using the screens to direct passengers for check-in, to display a short informational video loop about their carbon neutral program and to create a more enjoyable experience overall.